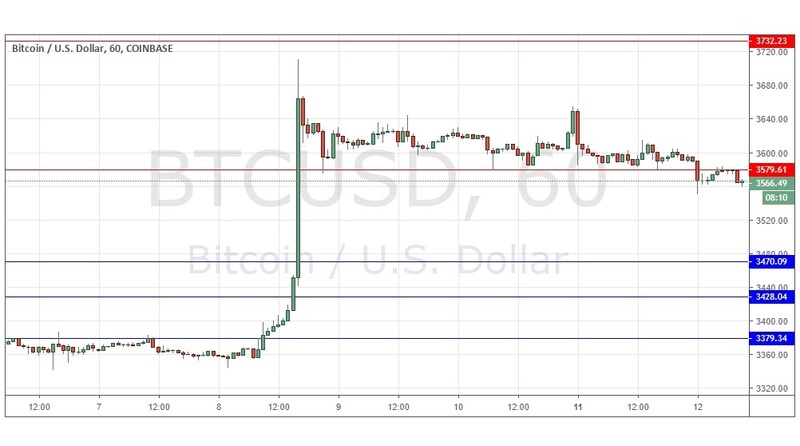 The price has continued to gently sell off and seems to have printed a new lower resistance level at $3,580. This is likely to be today’s pivotal level and it would make sense to be bearish if the price keeps rejecting it from below. Concerning the USD, the Chair of the Federal Reserve will be making a minor speech at 5:45pm London time.